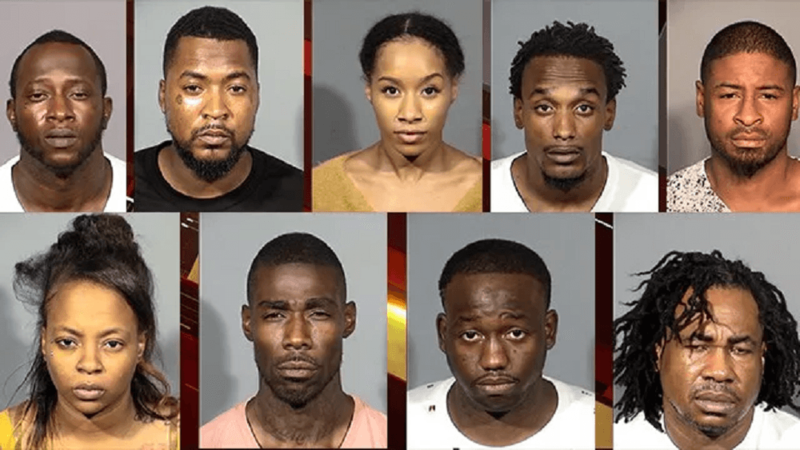 Las Vegas Metro crashed a party of alleged gang members uninvited, when they entered a suite at the Rio Hotel & Casino off the Strip shortly after 2am on Sunday, arresting 12 and seizing five handguns. 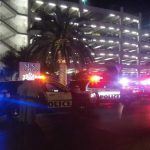 LVMPD said in a tweet that they did it to “keep our locals and tourists safe,” but one of the women arrested told local TV news site Fox5 that it was nothing more than a birthday party for her brother. 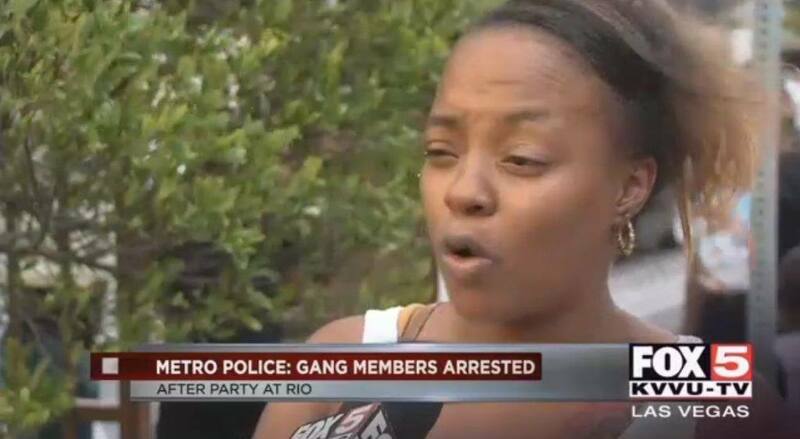 Captain John Leon of the Metro Police Department Gang Unit said several gangs were present at the party, which included between 40 to 50 people, and insisted those arrested were known gang members. Two partygoers — 41-year-old Corey Johnson and 24-year-old Phillip Semper — were booked on one count each of carrying a concealed weapon without a permit and taken to Clark County Detention Center (CCDC) for booking. The others were arrested on various active warrants, ranging from prostitution all the way down to one traffic warrant. Leon said gang parties typically do not meet up at Las Vegas resorts because of tight security. Ashley Medlock — the partygoer who was arrested on the outstanding traffic violation — denied it was a gang party when she spoke to Fox 5 Local News onTuesday. She said the group was there to celebrate her brother’s 26th birthday. Not one time did we get a warning,” said Medlock of the police activity. 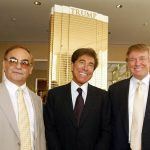 “There was no crime committed there. The first knock at the door was 50 police officers. That’s like something happened, like there was a fight. No, it was a birthday party. Everyone in there were friends. 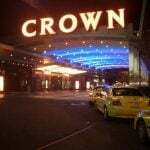 Police said they were called by the Rio’s security team at about 2 am due to noise emanating from the suite on the hotel’s 20th floor. On entering, they searched partygoers and found the now-confiscated guns. 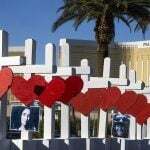 It is legal to carry guns in Nevada, but concealed weapons require a special permit (CCW) and casinos do not allow firearms on their properties at all, including licensed CCW, except for law enforcement. There are believed to be more than 400 gangs with some 10,000 gang members in the Las Vegas Valley. Metro Police controversially dissolved its gang unit in 2016 as part of Sheriff Joe Lombardo’s decentralization plan, a move largely criticized by locals. Subsequently, 2016 saw rising gang violence and was a record year for homicides, with 168. Last year, the unit was revived. In March, Metro’s gang unit arrested five MS-13 members allegedly responsible for ten murders within just a year’s time in and around Las Vegas. Those gang members, typically from El Salvador, have become notorious across the US for the savage methodology — and often fairly random targets — of their violence.